Reading Black Feathers by Joseph D'Lacey got me thinking about the growing popularity of apocalyptic stories. Think of all the summer movies. How many of them are either apocalyptic or post apocalyptic? The whole zombies taking over the world has become so popular there are even zombie apocalypse survival guides. Let's not forget Stephen King's TV Series coming this summer- Under the Dome. It's not a wide-spread event but the people trapped are suffering their own form of the apocalypse. For some reason, we've become fascinated with end of life as we know it. You'd think we'd be totally terrified of an apocalypse event. So terrified we wouldn't want to think about it, especially given the nasty storms we've had. Even my trilogy- I hadn't intended it to be apocalyptic but that's how it turned out. 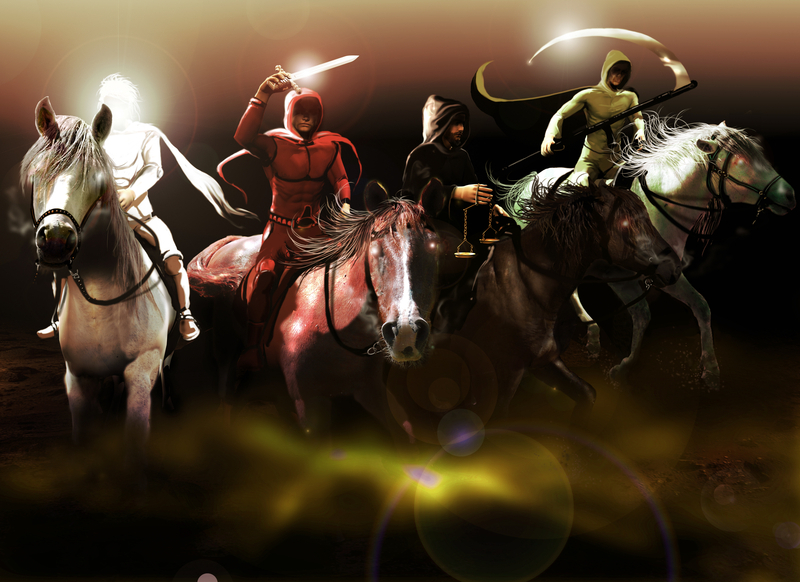 Why are we so fascinated with apocalyptic stories? This is the explanation I came across the most in my research. "Perhaps much of the interest in the post apocalyptic theme is the fantasy of getting thrown into a time where life, although more precarious, is much less complex. So many people in the world are disgusted, angry and just plain overwhelmed with the the way the world is today. We long to have a society where things are far less complicated. After all, in the post apocalyptic world, there is no boss, no government, no mortgage, car or credit card payments. "The biggest reason why we're so fond of stories where an unthinkable disaster is just around the corner is because it's good drama. It's the ticking time bomb — except the bomb is planet sized, and often you don't know exactly when the bomb will go off. The ticks are inaudible." (io9) Nothing gets the heart going like watching a character you like running from a wave as tall as the Statue of Liberty. Almost nothing invokes more shock and awe than seeing Times Square empty. "It’s always fun to identify with the person who has nothing and ends up triumphant over those who have more." (SF Signal) The apocalypse takes away every comfort we'd ever known yet people in TV shows, movies and books find some way to fashion a somewhat comfortable life for themselves. More importantly, despite the world falling a part, someone survives in the end. Remember my post about anti-heroes? We love them because they can get away with things we can't. You know that gorgeous apartment you've been eyeing or the big house you've been dreaming about moving into. During an apocalypse, you can live in them and pay nothing. And, how awesome would it be to roam the grocery story and just pile up on food like they did in 28 Days Later. They did look like they were having fun. We can go into an electronic store and haul out that massive television. However, apocalyptic stories may become like the vampire- done so often people start rolling their eyes. The question becomes how can I write an apocalyptic story that's original? There are tons of TV shows, movies and books around the apocalypse. Read them, watch them, study them. 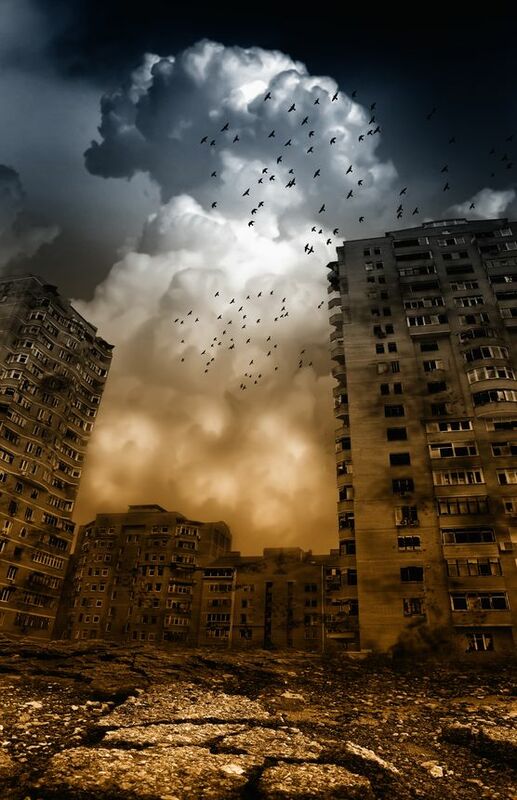 Here are some good apocalypse books on Goodreads. Know what's out there.What works and what doesn't? Understand that the world has been destroyed by every natural disaster known to man. Zombies have eaten their way through the world a million times. Every major city has been either blown up or taken over by aliens. Almost every type of scientist has created something that wipes out more than half of earth's population. How many times has the earth gotten angry with us and tried wiping us out? Although the whole sparkling vampire was so tragic, you have to give Stephenie Meyer credit for trying something new. You've heard the phrase "there's nothing new under the sun." If you want to do a natural disaster apocalypse, do it by adding your unique spin to it. We've seen the whole aliens take over the world theme a thousand times yet Dark Skies managed to do it in a different and entertaining way. Don't focus so much on the event that you forget about the people it affects. Why would we care about the world in your story if we don't have a character or characters we feel strongly about? You can have your story surrounding the most despicable person ever. People will hate them. They'll read because they may want to see if they fail. The readers live through the apocalypse and the rebuilding of society through your characters. If you create well-rounded characters- not cardboard cut-outs, they will carry the story, pulling the reader in. Thank you for your comments and research. Time and again, I find myself watching or reading stories that are apocalyptic in nature. I don't really want an apocalypse. I have a hard enough time spelling the word!! I think for most people craving this sort of end of world scenario, they are amazed at how people are depicted when all is lost. In our materialistic world, especially in America, we have this sort of class warfare going on. When all is lost, there must be leadership, something we are lacking today. In these "all is lost" scenarios, it's usually the non hero who steps up. He or she treats everyone the same, leaving no person behind. It's idealistic, but if this were the way each person thought today, this very rare form of heroism wouldn't have as much impact in fiction. I agree. You got me thinking of Walking Dead. The show is less about zombies and more about how people react to the end of the world. These apocalyptic stories do push "the little guy" up becuase they are the ones risking their lives to save people, leading these small bands of survivors out of danger. These stories are filled with the unexpected hero. I'm seeing some of these qualities here in the television show Revolution, which does have a dark, post-devastation feel to it. Hi there, I discovered your blog by way of Google while looking for a comparable matter, your site came up, it looks great. informative. I am gonna watch out for brussels. I'll appreciate if you happen to proceed this in future. Many people can be benefited from your writing. Cheers!